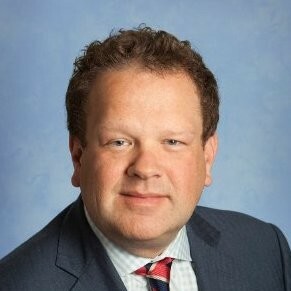 Multinational law firm Clifford Chance, one of the 10 largest law firms in the world, has hired legal-industry veteran Jeroen Plink as CEO of Clifford Chance Applied Solutions, where he will lead a global team tasked with developing and bringing to market new technologies to solve major problems faced by the firm’s clients. Plink will be based in the New York office of the firm, which is headquartered in London. His initial focus, according to the announcement, will be on products designed to address the needs of regulatory and compliance clients. He will also be in charge of CCDr@ft, a contract automation tool for clients developed by the firm. Plink was CEO of Practical Law US until its 2013 acquisition by Thomson Reuters. He has been an advisor to and sits on the boards of a number of law-related companies, including Casetext, Kira, MeWe, Compliance.ai, HotShot, Leopard Solutions, ShiftCentral, Allegory and others. When I last wrote about Plink, he had just helped launch a global compliance platform for law firms and legal departments and was its chairman until August. He started his legal career as an associate with Clifford Chance practising corporate law in the firm’s Amsterdam office. Clifford Chance launched Clifford Chance Applied Solutions in July, as one of three parts of what it calls its Best Delivery and Innovation strategy. It is home for the firm’s development of digital products aimed at providing efficient, consistent and high-quality outcomes to large-scale client challenges. The other two units are Clifford Chance Create, the firm’s innovation center, where clients, academic institutions and staff come together to share and develop new ideas, and Best Delivery, the group that brings together specialist expertise with the best tools and resources to deliver greater efficiency and innovation.